What better way to kick off QDM 2019 than a fun few hours driving the great roads in the northeastern corner of Georgia while everyone else is still unpacking? 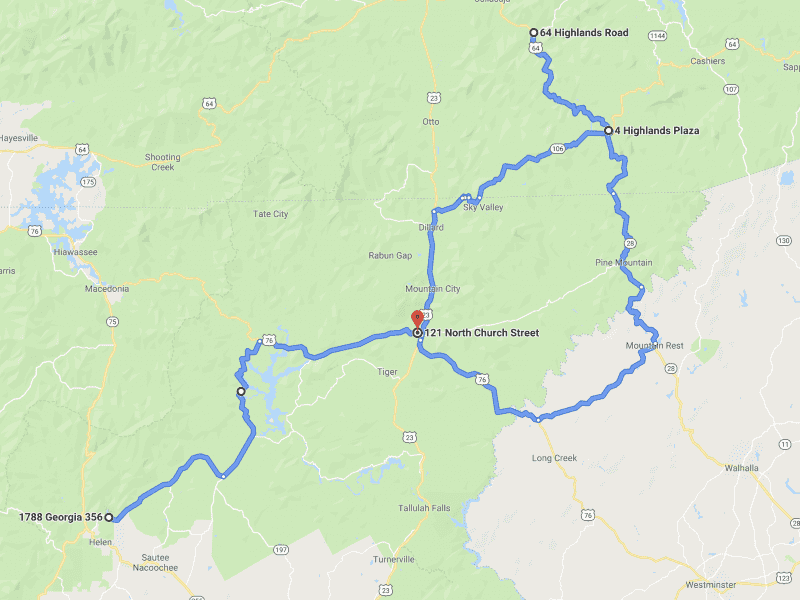 New for 2019, join us on an extended spirited dinner drive that will take us out to Highlands, NC as a preview of what's to come at QDM 2019! We'll be covering Dillard Rd, US-64, Chattooga Ridge Rd, and the southern reaches of the infamous Moonshiner 28 on our Dash 'N Dine drive, passing scenic views of Lake Burton, the Bridal Veil Falls, and Lake Sequoyah. After working up an appetite on these great roads, we'll make our way to the automotive-themed and very cool restaurant Universal Joint in Clayton, GA for a fun and casual dinner, followed by a casual cruise back to QDM HQ to unwind and settle into what will be a great weekend of Audis and friends! This drive is limited to 12 drivers. 9 have signed up already.